The Florida Keys are a collection of a lot of islands south of Florida’s southern edge, with the big islands linked by bridges and extended by the Overseas Highway. It is almost a paradise like place and is a must visit for tourists that love islands. The islands cut the Atlantic Ocean from the Gulf of Mexico and have a great and sound ambience with a strong Cuban effect as Cuba is located within the 100 mile radius from Key West that is the southern most of the big islands. There are a number of ways to spend the best weekend in the Florida Keys with good effect. 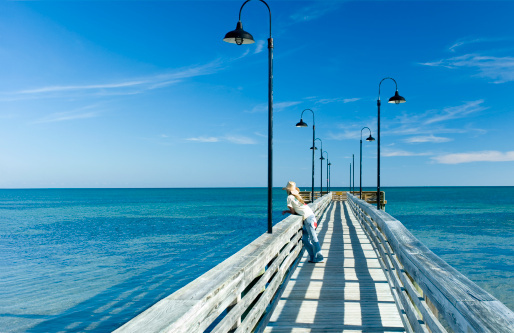 Think about staying in Islamorada or Marathon Key as it is located in the centre of the Florida Keys. This way you will be almost centralized in the 120 mile long hundreds of islands. Eager campers may want to visit the state park at Long Key which is between Marathon Key and Islamorada. This will allow you simple access to all the keys ranging from Key Largo to the northeast to Key West. On the other hand, place aside a day for Key West where you can view an amazing sunset in a lovely atmosphere at Mallory Square. This sunset celebration is a great Mardi Gras each day all year round. There is no way you can miss out on the Hemingway House on your Key West travel. People who do not like Hemingway will be mesmerized by the Spanish style mansion and its beautiful grounds, filled with several house cats that are present in all shapes and colors. Moreover, you can also swim alongside dolphins. There are a number of marine life activities providing an ultimate experience like the one in Marathon Key. The dolphins will copy your every move, push you through the water and take you along if you hold on to them. Scuba diving lovers should pay a visit to Key Largo which is famously known as the “Diving Capital of the World.” Furthermore, you can take a boating trip from anywhere in the keys along with fishing excursions and schooner ventures. Also check out the Cuban touch of the islands by eating out Cuban food or going to a night club that plays Cuban music which is the local culture.